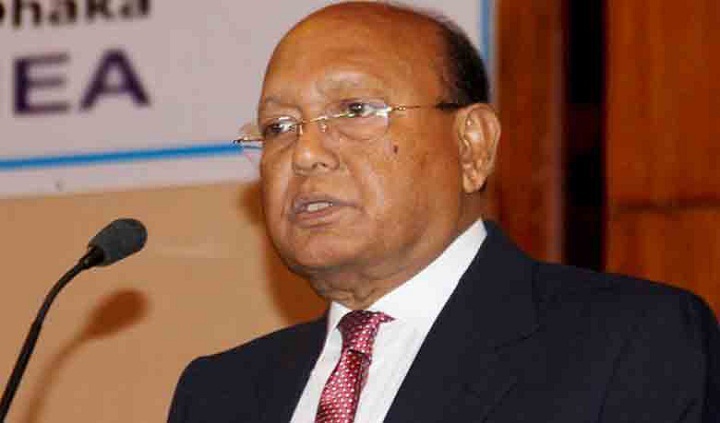 Commerce Minister Tofail Ahmed on Thursday said Dr Kamal Hossain is deceiving the country’s people through forming Jatiya Oikyafront with BNP-Jamaat. “Dr Kamal said he has no relation with Tarique Rahman but he has been associated with BNP where Tarique is its acting chairman. Besides, he said he has no relation with Jamaat but Jamaat is in alliance with BNP. He is actually deceiving people through his remarks,“ Tofail said. He was talking to reporters after inaugurating the 6th BAPA Foodpro International Expo 2018 at Bangabandhu International Conference Centre in the city. BNP has to face tougher action if it tries to create any anarchy, including attacking people, hurling petrol bombs and observing strikes and blockades, as they did in 2014, he said. Mentioning that the upcoming national election will be held under Prime Minister Sheikh Hasina, Tofail said BNP’s demand for an election-time government will remain as a dream.